The telephone provided pathways for people to speak to each other over both short and long distances. Suddenly you could speak to your neighbour a few houses away or communicate with business associates, friends and relatives hundreds or even thousands of kilometres distant. 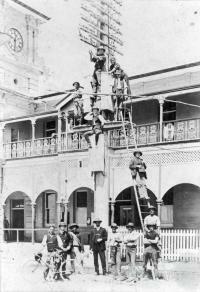 The beginnings of the telephone in Queensland trace back to experiments at the office of the Superintendent of Electric Telegraphs, W.J. Cracknell. On 28 January 1878, only three years after Alexander Graham Bell’s invention in 1875, the first telephone call was made to Ipswich from Cracknell’s Brisbane office, using roughly fashioned phones and 80 km of wire. Over the next two years 36 instruments with single connections were introduced. 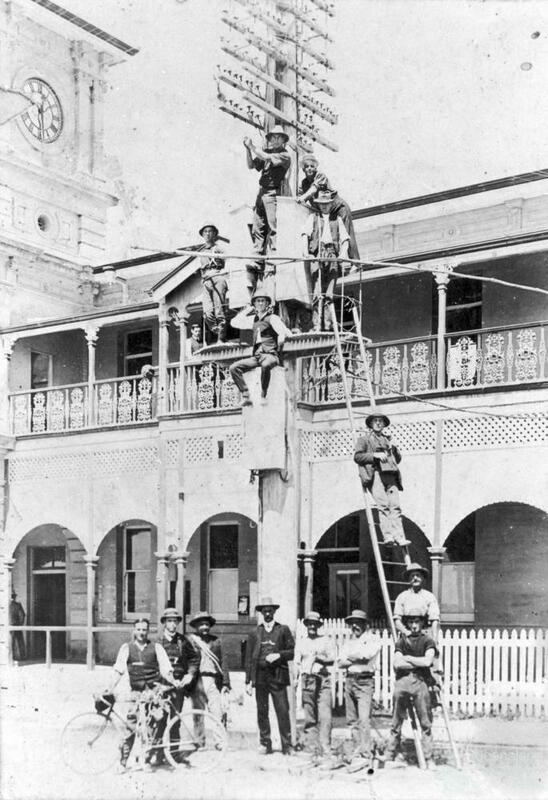 When the Brisbane exchange opened in June 1880, private firms quickly applied for a connection: entrepreneurs were interested in the fast transmission of information between the different offices and they were happy to fund the new technology. 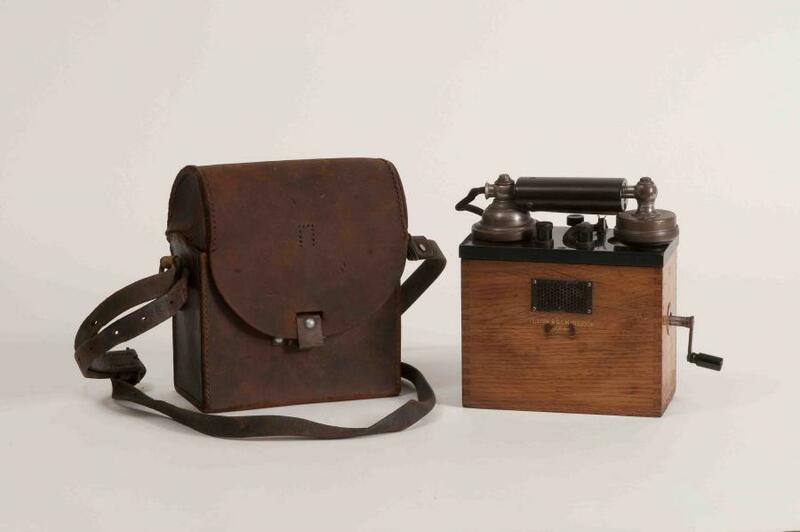 The Edison transmitter combined with the Bell receiver had to be bought by the subscribers for £10 each. They also had to rent the single wire circuits running along streets for £5 per mile and pay a charge of £1 per year for maintenance. 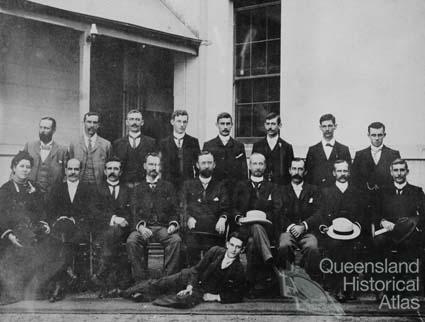 Castlemaine Brewery became the first subscriber in Queensland when the offices in Queen Street were connected with the Milton Brewery. 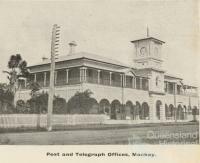 The Brisbane Courier office in Queen Street, building material supplier James Campbell and Sons in Creek Street and the Apollo Candle Company in Bulimba followed suit, as well as prominent Brisbane citizens who subscribed for business, financial and prestige reasons, including Edward Robert Drury, the general manager of the Queensland National Bank, and Sir Thomas McIlwraith, then Premier of Queensland. 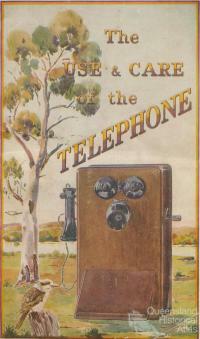 The Brisbane exchange had a major influence on the spread of telephony in Queensland, being among the first manual exchanges in Australia, together with those opened in Sydney and Melbourne in the same year. 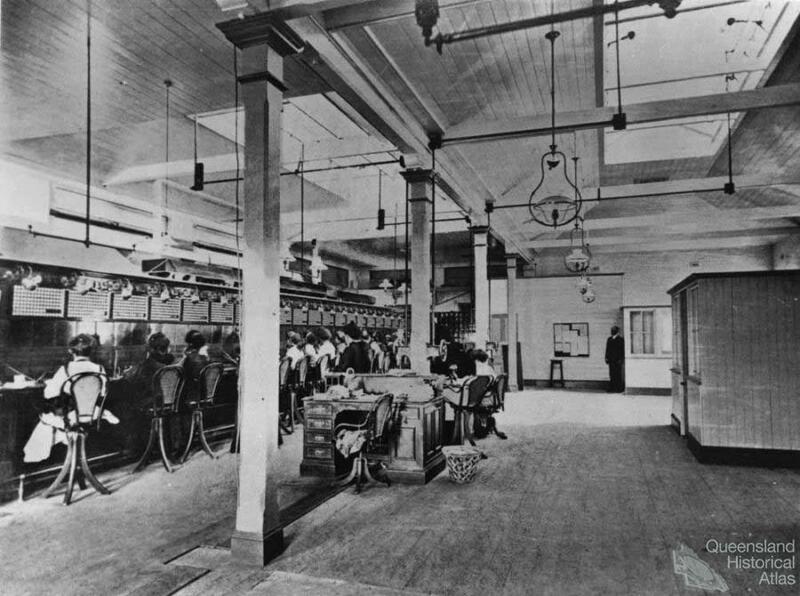 Demand quickly grew and the Brisbane Central Exchange started a continuous service in April 1883, by which time 175 subscribers were already connected, although not all clients would have been satisfied with the telephone service. It was slow and expensive so that most people still preferred post and telegraph. 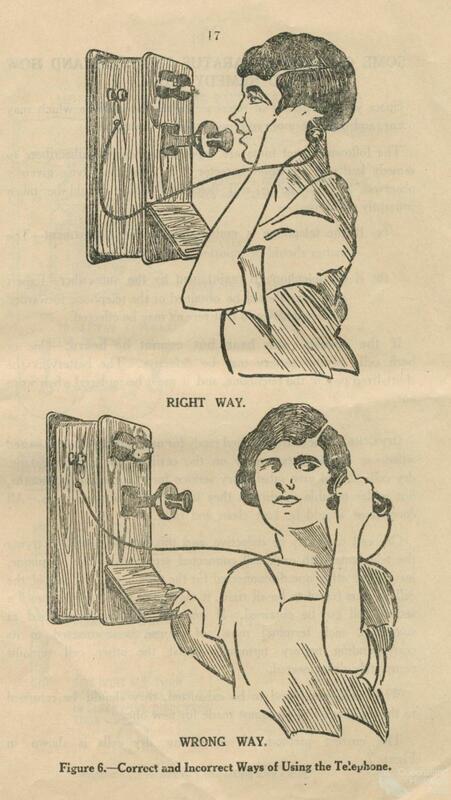 Nevertheless the telephone spread rapidly in the city and by 1885 the exchange handled more than 300 subscribers. By 1927, 200 telephonists operated the Common Battery Manual Exchange at the General Post Office Brisbane and on 30 November 1929 the automatic telephone exchange was finally brought in operation in Queensland, more than 17 years after the first automatic exchange in Melbourne. While the demand for telecommunications was growing in the cities, especially for business purposes, people in the country were rarely able to afford the high charges. 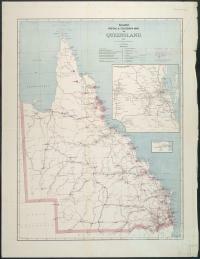 The operation of an exchange in Queensland was much more expensive than for those further south due to both the long distances and the smaller number of subscribers. 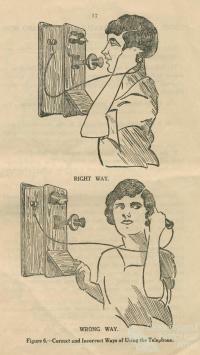 Nevertheless, by the beginning of the twentieth century telephone lines had extended into rural areas. 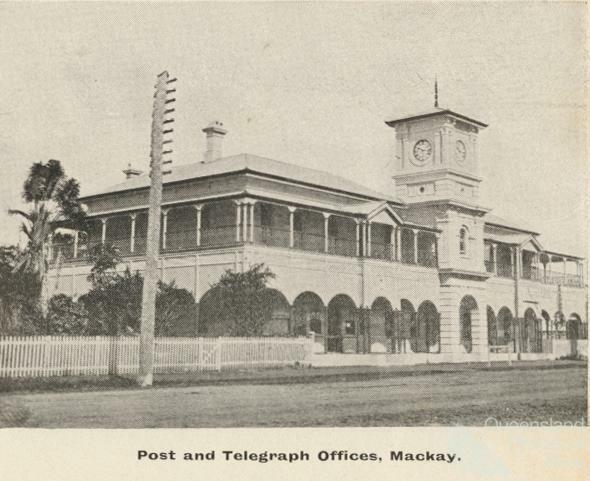 The first country exchange in Australia opened at Maryborough, Queensland in 1882, 32 subscribers set for the exchange. This was the first opportunity for a rural area in Australia to gain access to technology that overcame distance through the transmisssion of speech. The technology quickly spread north especially in the rapidly growing ports. A country exchange was opened at Townsville in November 1883, Rockhampton followed in 1884, Bundaberg in 1886 and Charters Towers in 1891. 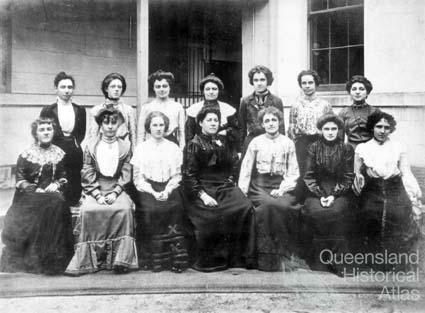 However, it was not until John Hesketh, Chief Electrical Engineer for the Queensland Post and Telegraph Department reduced the telephone rates dramatically, in order to popularise the service, that the telephone network began to spread rapidly in the rural areas. At the turn of the century the number of country exchanges had doubled and by 1910 the number had risen to 58 exchanges. 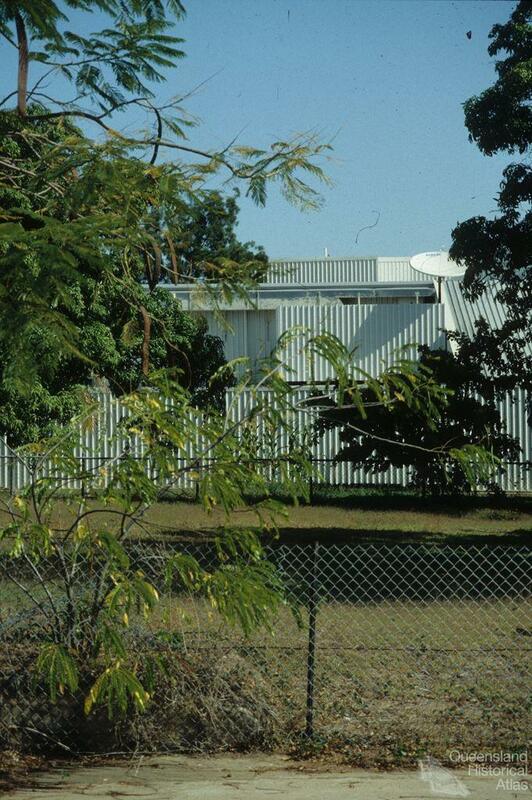 Many of the pastoral areas of Queensland gained access to the new communications system with the help of private lines. These were fairly long lines using trees, fences and the occasional pole to carry the telephone lines. 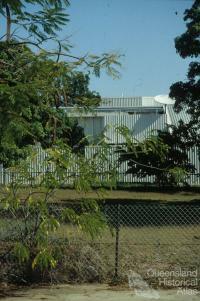 Small networks were set up between stations (for example, in the Longreach district around 30 stations were connected). 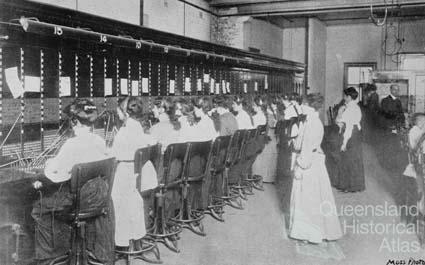 The telephone system worked through the local exchanges and by trunkline with adjoining towns. 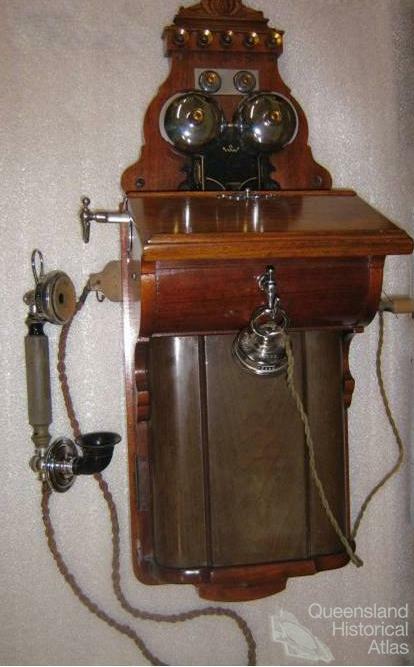 With the introduction of the phonophore system, the telephone network was then able to use the proliferation of telegraph wires already in place. Networking at the beginning of the twentieth century saw telegraph wires spread out from regional centres to relatively isolated farms. 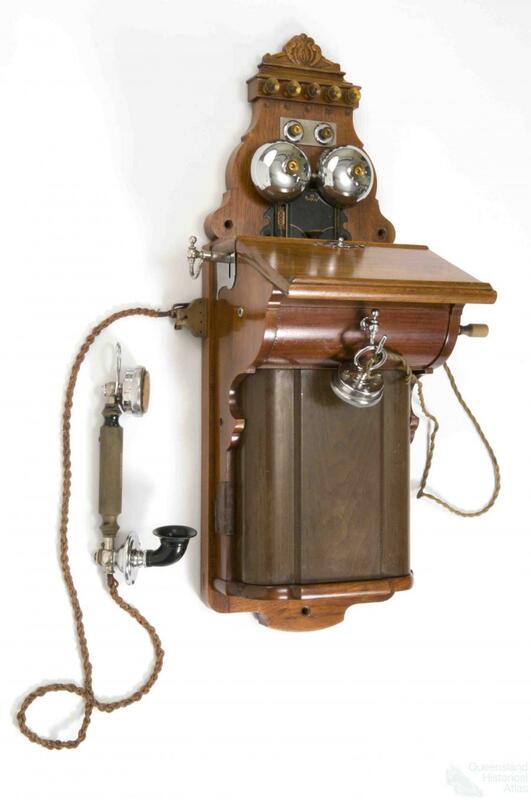 The creation of the Postmaster General’s Department (PMG) in 1901 put the onus on the new Commonwealth Government to expand the reach of telephony. During World War II, General MacArthur, Commander-In-Chief of the Allied Forces for the Southwest Pacific, set up General Headquarters in the then AMP Building in Queen Street, Brisbane. Telephone communication in wartime had to be secure and the telephone exchange was set up in the basement of the building was one of only 12 exchanges in the world that had scramble technique for security and became known as ‘Bataan’ Exchange. The Sigsaly terminal weighed over 50 tons and was operated by thirteen signalers. 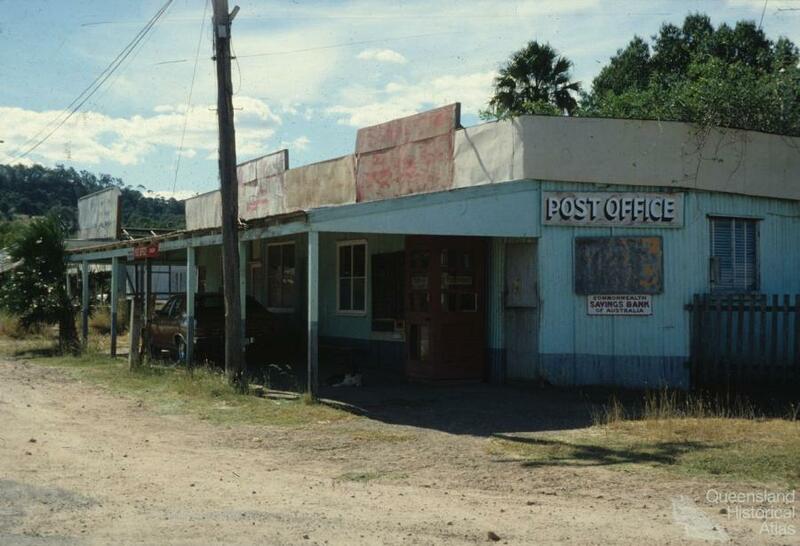 Many rural areas of Queensland remained isolated with manual exchanges continuing well into the second half of the twentieth century. 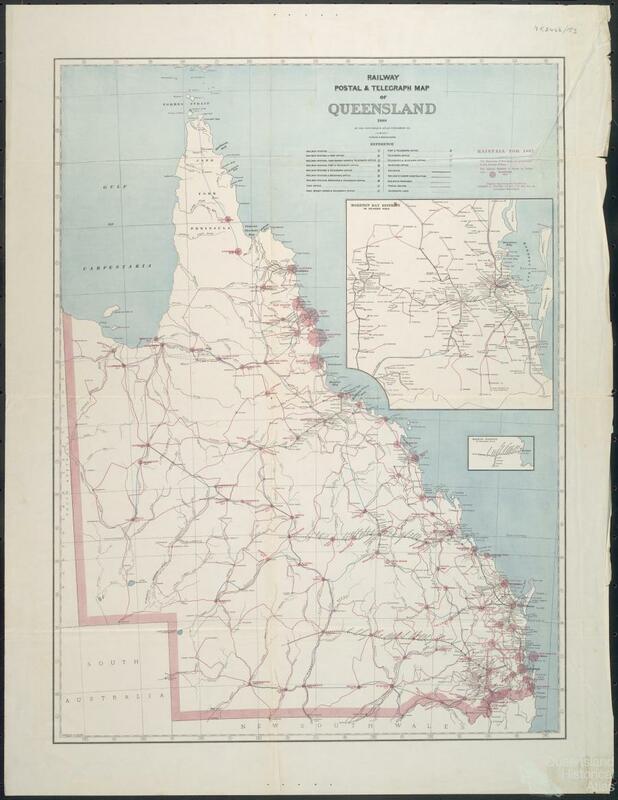 However, by the end of the twentieth century, over one million Queenslander households were connected by copper wire. The breakup of the PMG into Australia Post and Telecom in 1975 foreshadowed growing deregulation of telephony, furthered by the public floats of shares in Telstra and the rise of Optus as another major carrier. While mobile phones reach over 98 per cent of Queenslanders they only cover about a fifth of the State’s landmass. Red Cross Society and World War I in QueenslandWhere did the trams go?